Earwax is the mixture of sweat, inert skin cells of the inner ear, and sebum (a waxy oil secreted from the glands inside the ear canal). It is produced by glands in the ear canal and medically it is known as cerumen. Not only earwax contains the mixture of sweat, dead skin cells, and sebum but also it contains other substances like lysozyme, an antibacterial enzyme, fatty acids, alcohols, cholesterol, and squalene. Ear syringing and microsuction are the common methods for earwax removal. Although, earwax is a good and necessary thing, the excess of earwax may cause a blockage. Earwax is a naturally occurring substance that lubricates and guards the skin of the ear canal against dust, bacteria, fungi, insects, water, and anything else that can harm ear canal. The color of earwax depends upon the age and genetics of an individual. Yellow to light brown colored earwax is considered as healthy. Although, dark brown earwax contains particles of dirt, bugs, and hair. On the flip side, If red coloration of earwax results in infection in the ear canal. Typically, there are two different types of earwax: wet and dry. The Wet Type which is considered as a dominant one, and Secondly, the Dry Type which is recessive. Wet earwax is sticky and yellow or brown in color. Generally, wet earwax is found in people that belongs form European or African ancestry. On the other hand, Dry earwax is crumbly and of light color, grey, or tan. People that have North-Eastern Asian and Native American ancestry often have dry type of earwax. 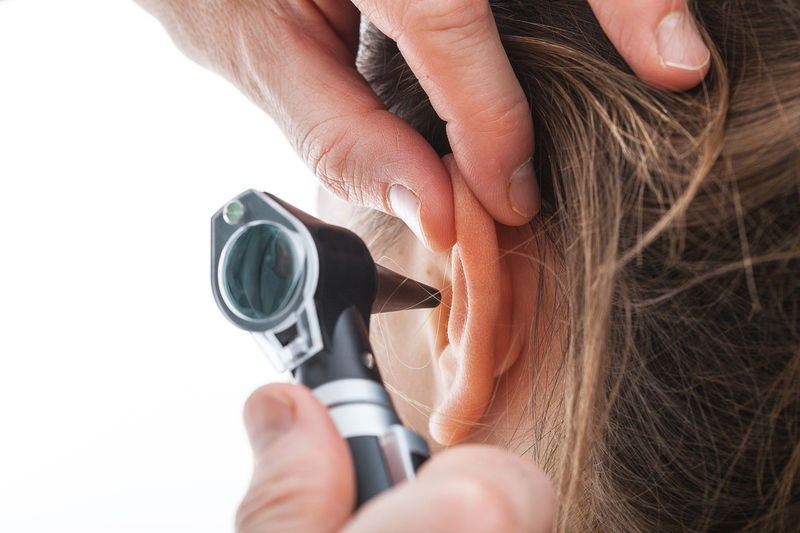 Our ears produce earwax regularly in order to maintain a healthy amount of earwax in the ear canals. An appropriate amount of earwax is necessary for the ear canals otherwise ears may feel dry and itchy. We can say earwax is there for a reason and the reason is to protect ears and to provide lubrication. Ears are blessed with self-cleaning technology and earwax act as a self-cleaning agent as it automatically moves out of the ear, and medical tests have proved that it has antibacterial and antifungal properties. The excess amount of earwax automatically comes out of the ear canal. Additionally, earwax is not actually wax. It is a combination of skin cells that have fallen off from inside of the ear, bits of hair and secretions from the ceruminous glands in the outer ear canal. Do not stick anything in the ears especially cotton-tipped swabs as our ears are self-cleaning agents. Whenever we put something in our ears in order to remove wax it may push wax further in the ear that may cause ear blockage. Ear candling is a technique in which a person rests on his or her side and a long cone-shaped candle is put just inside of the ear canal. After that, the candle is set aflame and it is believed that the warmth of the candle will soften and suction out the wax. Ear candling can cause burns, wax blockage, and the damaged eardrum. 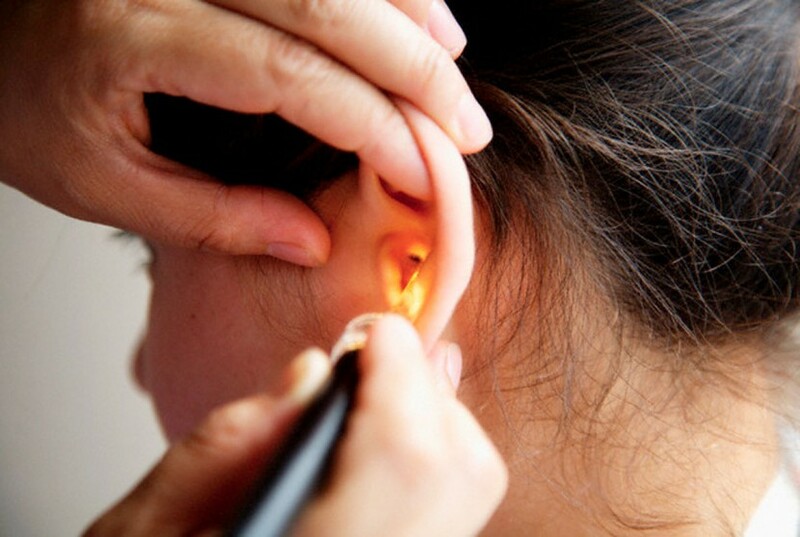 If you feel any pain or irritation in your ears, do not attempt any treatment at home. Numerous people favor using ear wax softening drops as the first choice in order to remove wax. These ear drops may soften the wax enough to aid the natural removal from the ear. There are many ear drops available in the market. Some ear drops are may be harsh to use, especially if the individual has a sensitive skin or any skin condition such as eczema or psoriasis. Common methods of ear wax removal are ear syringing and microsuction. In ear syringing also called ear irrigation water is pumped into the ear at a controlled pressure to remove wax. Ear syringing may not be very effecting in the case of ears with impacted wax even after using ear drops. Microsuction is recognised as the best and safest method of ear wax removal. As the name suggest in microsuction the wax is sucked out using medical suction tube under specialised ear microscope. There is no water used in microsuction. At The Audiology Clinic, microsuction is performed by Doctor of Audiology, Dr Deepak Kumar to safely and painlessly remove ear wax. You can ring the clinic to make an appointment as patients are seen only by an appointment. It is important to remember every medical procedure carries a risk. It is not ideal to put up with blocked ears, hearing loss or tinnitus as a result of impacted wax.